There are two reasons to knit. Most readers of this blog do it for enjoyment. Knitting is calming, the repetitive motions are kin to meditation, and it just feels good. There are some medical benefits too. Knitting loosens up the hands, and the movements help arthritic hands. Others knit for a living. Some on commercial machines, others on in-between machines that can run off hundreds of copies of an item from a computerized routine. There’s an in-between too. 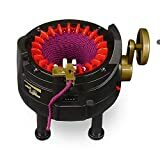 Home machines like the addi-Express Professional Knitting Machine and the addi-Express King Size Knitting Machine semi-automate your knitting. They’re great if you’re tight on time or need a lot of finished items. These are home machines. They’re compact and pack away quickly. When you’re ready to knit, just clamp them down to a smooth flat surface, the kitchen table will do. Knit for a while, then they’re easy to take down and store. And the cost is very reasonable too. Both addi machines are priced well below the starting level for professional machines. There are some trade-offs though. The addi machines cost much less than commercial machines but are built lighter too. Their heavy-duty plastic construction stands up well to home use but isn’t suited to full-time manufacturing. And they don’t have as many controls as a commercial machine has. Perhaps the biggest drawback is the lack of a tension control. Changing yarn types can vary the stitch size, but it’s a hit or miss thing. Most serious addi users purchase weights to maintain the tension and prevent dropped stitches. They’re not expensive, but it is frustrating for a beginner. addi would do well to include weights with their machines packages. We’re looking at two different addi machines in this review. The addi-Express Professional Knitting Machine and the addi-Express King Size Knitting Machine. The difference is fairly simple. The addi-Express King Size is bigger! Construction quality is the same on both. Thes machines are made in Germany with typical high-quality German craftsmanship. As mentioned earlier, their plastic construction is fine for home use but will wear out if used all day, every day. Both machines carry a lifetime warranty against manufacturer’s defects. The addi-Express Professional uses 22 needles. That’s enough to make circular items from about 10 to 15 cm (4 to 6 inches), and flat items 15 to 20 cm (6 to 8 inches wide). Finished circular size is about what will fit around an arm or leg. 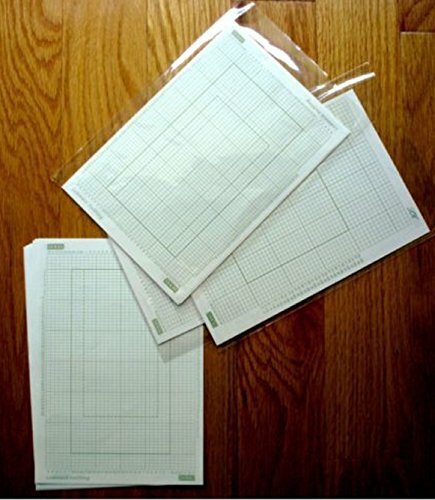 Flat panels can be stitched together, but the max size for circulars might not be enough for adult items. 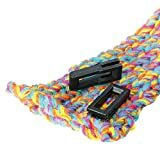 The addi-Express Professional is recommended for socks, preemie hats, narrow scarves, mitts, fingerless gloves, cozies, pieced together afghans and baby sweaters. The addi-Express King Size comes with 46 needles; which is more than twice the number of the original addi-Express professional, allowing for larger pieces. That gives you 35 cm circular items (almost 14 inches) and 45 cm flat panels (18 inches). The larger flat panels make afghans and sweaters a lot faster, and the circular size is more suited to adult items. Where the pro model will make an infant sized hat, the king-sized model’s hats will be more suited to an adult. Just set them up and you’re ready to crank out creations right away. The King Size model needs to be clamped down to the table for stability; the Pro model should also be. The addi-Express machines have a cult-like following and there are many accessories available. 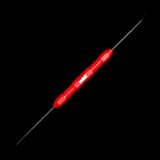 Check out Amazon for loads of spare needles, and hooks. Both machines are great for home use and will have you turning out projects in no time. They’re well built, and online reviews show that most buyers are happy with their purchase. The difference is in size. 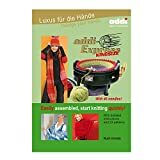 The addi-Express Professional Knitting Machine is smaller and costs substantially less than the King Size. The addi-Express King Size Knitting Machine costs more, but the output is twice as big. My opinion, go for the bigger addi-Express King Size Knitting Machine.